Auravedic Kumkumadi Spotless Brightening is an indulgent polishing scrub powered by Amla and Tamarind to lighten and brighten skin and reveal a natural glow. This revitalizing formula effectively cleans and exfoliates pores to minimize irregularities and dullness for a noticeably lighter and brighter complexion. It helps boost skin's hydration level and maintain moisture balance, leaving skin refreshed, soft, and smooth. The purifying formula further works to refine skin texture, absorb excess oil, and regulate sebum production for perfectly balanced skin. 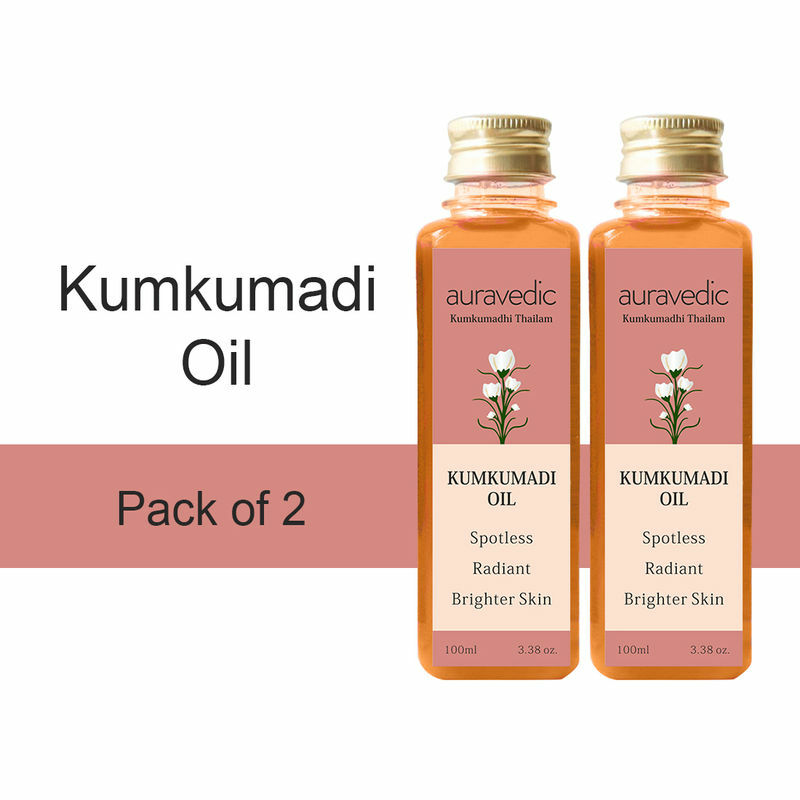 Auravedic Kumkumadi oil is nature's ultimate beauty oil. This innovative brightening oil infused with real saffron pays homage to the legendary Kumkumadi ingredient .This ultra luxurious blend combines nature's most potent botanicals to transform damaged skin or dry skin. Pure Natural extracts of precious Saffron balances pH and promotes rapid cell turnover, to catalyse production of healthy new skin cells, to quickly reverse the effects of age and environmental factors. 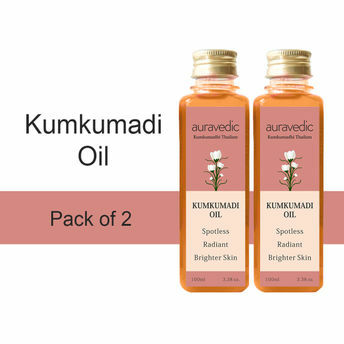 Kumkumadi oil alleviates fine lines and age spots, neutralizes inflammation for softer, brighter, and more youthful skin. Formulated in highly absorbent and nutrient-rich oil, for immediate results.